Everything You Ever Wanted To Know About RSS Feeds – The Official Website of Masters of Money, LLC. You probably have seen this three-letter acronym in the course of your internet surfing. RSS stands for Really Simple Syndication or Rich Site Summary; syndicating means republishing an article that comes from another source such as a website. An RSS is a means of publicizing updates about websites. It may or may not include a summary and photos of the latest posting. But those that provide summaries (thus Rich Site Summary) allow users to skim through the article so that they could decide later if they want to access the website source. The RSS feed usually contains the title of the update originating from the website. It is also usually the link to the website source. RSS gives benefits to both readers (users) and web publishers. 1. It gives you the latest updates. Whether it is about the weather, new music, software upgrade, local news, or a new posting from a rarely-updates site learn about the latest as soon as it comes out. 2. It saves on surfing time. Since an RSS feed provides a summary of the related article, it saves the user’s time by helping s/he decide on which items to prioritize when reading or browsing the net. 3. It gives the power of subscription to the user. Users are given a free-hand on which websites to subscribe in their RSS aggregators which they can change at any time they decide differently. 4. It lessens the clutter in your inbox. Although your email address will be required to enjoy the services of online RSS aggregators, RSS does not use your email address to send the updates. 5. It is spam free. Unlike email subscriptions, RSS does not make use of your email address to send updates thus your privacy is kept safe from spam mails. Unlike email subscriptions where the user is asked questions on why s/he is unsubscribing and then the user would be asked to confirm unsubscribing, all you must do is to delete the RSS feed from your aggregator. 7. It can be used as an advertising or marketing tool. Users who subscribe or syndicate product websites receive the latest news on products and services without the website sending spam mail. This is advantageous to both the web user and the website owner since advertising becomes targeted; those who are interested in their products are kept posted. What are the drawbacks of RSS? The disadvantages of RSS use are brought about by its being a new technology and some user-preference concerns. 1. Some users prefer receiving email updates over an RSS feed. 2. Graphics and photos do not appear in all RSS feeds. 3. The identity of the source website can be confusing. Since RSS feeds do not display the actual URL or name of the website, it can sometimes get confusing on what feed a user is reading. 4. Publishers cannot determine how many users are subscribed to their feed and the frequency of their visits. Moreover, they would not know the reasons why users unsubscribe which could be important in improving their advertising. 5. RSS feeds create higher traffic and demands on the server. Most readers still prefer the whole update over a brief summary of the entry, thus they still access the site. 6. Since it is a new technology, many sites still do not support RSS. How do I start using RSS? There are two things needed: an RSS feed and an RSS aggregator or reader. 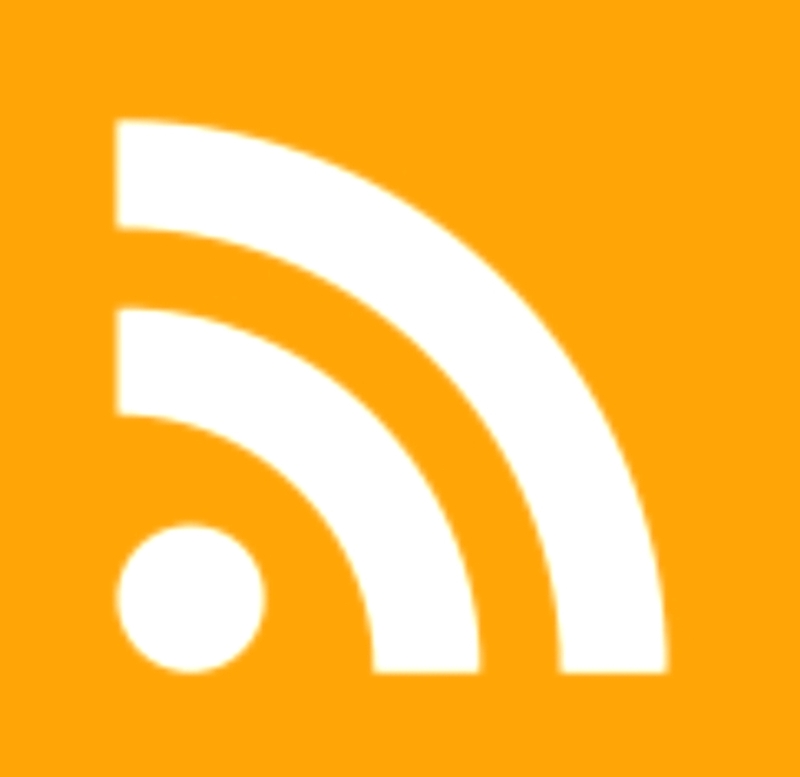 The RSS feed comes from an RSS-supported website. There are also websites that provide a list of RSS feeds of different websites. An RSS aggregator is used to read the RSS feed from the source website. It scans and collects data on latest RSS feeds from the worldwide web. An aggregator comes in two forms: a downloadable program also known as desktop aggregator and an online or web-based aggregator. Downloadable aggregators may require payment before they can be acquired, while internet-based aggregators are usually free of charge. All you need to do is to register an account then you are ready to use their services. Both versions allow you to customize or choose which RSS feeds to enter. Paid aggregators are usually chosen by more experienced users and they usually allow more freedom in customizing feeds. 2. Scan the homepage of your target website for the RSS or XML button. It contains the RSS code you need to enter in the aggregator. Copy this code. Syndic8 provides a directory of websites that support RSS. 3. Paste the code (which contains the URL of the website) in your aggregator. There is a space provided for pasting the code. After you have done these three easy steps, you can start reading the RSS feeds coming from the website. New postings appear as they are published real time at the source website. The original idea of RSS came from Netscape, where their intention is to provide a means for users to customize their personal homepage to contain links to websites that interest them, similar to bookmarking websites. The application of RSS to internet marketing was an unforeseen development to RSS technology developers. Since users are given the freedom to add RSS feeds to their aggregators, those who are interested in particular products and services available in the internet can now be notified real time. Marketing becomes more specific to interested people and not a hit-and-miss operation. Those who intend to use RSS for marketing their products and services should consider linking up with email account providers, (e.g. Yahoo, MSN, Google mail); networking websites (e.g. Friendster, Multiply, My Space, Hi5); websites of newspapers and television network websites (e.g. New York Times, CNN) for medium to big-scale companies. Small-time industries can also look into networking websites as well as personal blog websites (e.g. BlogSpot) and websites of clubs and organizations that would probably make use of their products or services e.g. a fishing supplies store can look for the website of their local fishing club for possible RSS marketing. Clearly, RSS is an innovation in information management in the worldwide web as well as online marketing. We can expect better RSS technology in the not-so-distant future as its popularity increases among users and website owners alike. Really Simple Syndication (RSS) is a tool useful for saving or retaining updated information on websites that you frequently visit or websites that are your favorite. RSS utilizes an XML code which scans continuously the content or subject matter of a certain website in search for new information, then transmits the information updates by way of feeding the information to subscribers. Once you encounter upon a website that you want to add or insert to the aggregator, the process can be done in two ways. Almost all sites offering an RSS feed displays an “RSS” or “XML” button in their homepage and with one click, it promptly adds that feed to one’s aggregator. Some aggregator, however, requires the need to copy and then paste the URL of the feed unto the program. Whatever the method used, you can be certain that the feed will be accessible soon as you have inserted it, likewise, in just seconds, the next update can arrive. Through e-mail subscriptions, you can receive newsletters. RSS feeds on the other hand, can be more convenient in keeping up with newsletter updates since they are prompt and available in an instant, you no longer have to wait for a scheduled time or day to obtain a news summary, plus, this news will never be blocked by a spam filter. RSS feeds are widely used every day by individuals who understand and appreciate the accessibility of fast reports and news that can be readily read and only read certain updates that appeals to them. You will have more viewers, since now, your viewers can conveniently see your site without even going out and looking for that certain site. While at first, it may seem corrupt, it will in fact enhance the visibility of your site; this is so because users can easily keep up or keep tract with your site, to allow them to view in a way that they want to; it’s more probable that guests are aware should something that is in their interest is available or accessible on your site. For instance, every month your website broadcasts a new feature. Having no feed, your viewers will always have to keep in mind to go to your site in a certain time to see if they discover something new; that is, if they can remember, and if they still have the time. However, if you supply a feed for your viewers, they can just point to their aggregator and it will instantly provide them a link along with a description of happenings or events at your site immediately. Syndication is very confusing as it uses a lot of formats that can usually be come across in the web. However, this can easily be solved as in general, syndicated libraries are used by aggregators which conceptualize a format that a feed is in, in order that they can utilize a certain syndication feed. With this, whatever format to pick is just a matter of personal preference. RSS 1.0 is far reaching, and practical should it be integrated into Semantic Web systems. RSS 2.0 is very easy and simple create by hand. And atom is an IETF Standard, does it bring constancy, stability and a natural and accepted community to support its usage. RSS which stands for really simple syndication is a format that is associated with the XML family of file formatting. It functions by continuously running through the websites to scan for updates. It then sends these updates to all the people who are subscribed to these websites using a feed. This is used most often in web syndication. To be able to use an RSS feed, you need to have an aggregator, also known as a feed reader. These aggregators are available widely online, so it won’t be that hard to scour the net to find the one that you’re looking for. There are a variety of aggregators to choose from. Best of all is that you can download them for free. RSS feeds are often used in blogs, news, and entertainment websites. Anything that relays information to subscribers and is often updated. These updates are then sent to all the subscribers of these sites that carry RRS feeds. The updates are summarized, so you’d have an idea what stories they are referring to. If you are interested in the information it’s relaying, you can then click on the text to get the longer version of the text. The great thing about RSS feeds, is that you can also read them through your cell phones, and they come in PDAs. Most entertainment websites carry RSS feeds such as BBC, Reuters, Boston Globe, CNN, etc. Music reviews, game news, interviews, movie stories, are also put into RSS feeds. This makes it a lot easier for fans to follow stories about their favorite movie stars, sports heroes, latest gaming news, etc. It is offered to you unadulterated, and free from annoying spam that clutters your emails. A lot of businesses also use RSS feeds to reach their customers. This allows them to directly relay information, uncorrupted, and instantaneously. As soon as you download an RSS feed, you receive the information right away. Entertainment RSS is an all in one stop. You don’t have to click from website to website to get the news that you’re after. Entertainment websites that carry RSS offer you the news that you need, automatically as soon as they’re updated. This saves you the time and the trouble of having to scour the net for the information that you’re looking for. It is easy to subscribe to entertainment RSS feed, just click the button that indicates the RSS feed. You usually must copy the URL into your aggregator, but some RSS feeds automatically download into your reader. You can unsubscribe to an RSS feed anytime. There are some search engines that allow you to search information contained through RSS feeds. There are also feed directories that categorize RSS feeds by order of interest. This makes it easier for people to locate all the information contained in RSS on any available topics online. Local news can also be found via RSS. So now instead of tuning into your TV sets to get the latest headlines, updates, and sporting news, you can subscribe to an RSS feed. This way, you get all your news at once. This allows you to control the way you receive information and enables you to receive news at your own free time. The great thing about this is that readers can read the headlines and summary, and then can choose which stories they want to follow. This gives the reader control over the content of the information they are receiving. This way, they are not bombarded by numerous advertisements and countless useless information that they don’t have any use for. Individuals who have blogs with syndicated content can submit the syndicated versions of their blogs to RSS feed directories. This way, blog enthusiasts can have access to their RSS feeds. Feedster is one of the most popular search engines. You can use this search engine to find numerous entertainment articles, stories, reviews, using an RSS feed. The great thing about RSS feeds, is that you’re always updated with the latest news and happenings. RSS feeds are revolutionizing the way information consumers get their content. Instead of being bombarded with a plethora of useless information, the consumers now can select & reject the material that goes into their consciousness.